Planning a trip to Cleveland? 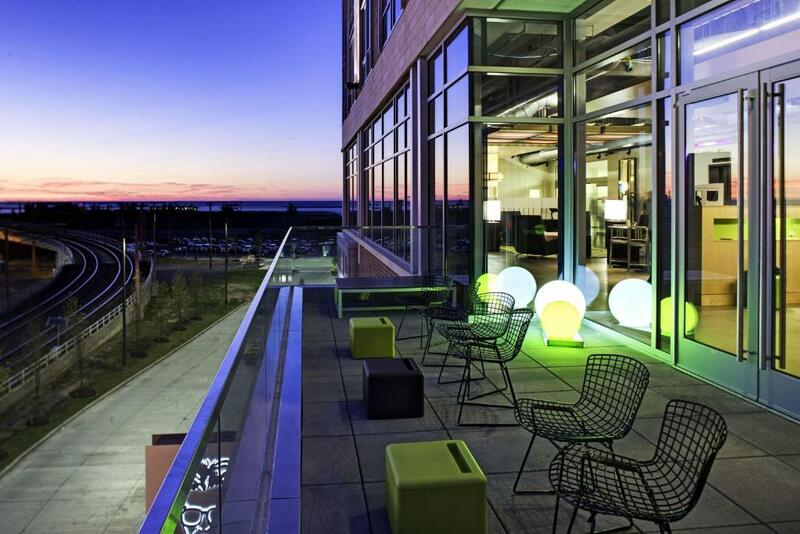 Read our hotel guide to find the perfect base from which to explore Ohio’s great port city. 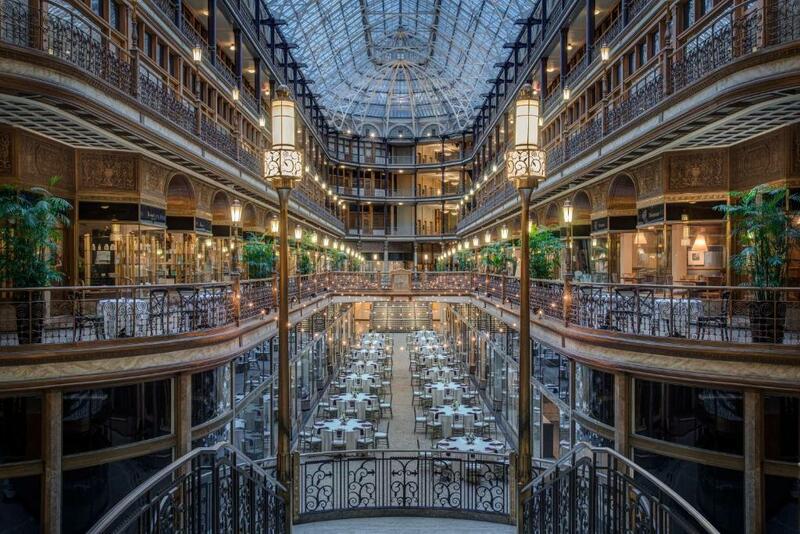 It may not top those lists of must-take city breaks but Cleveland really doesn’t seem to give a hoot. This is where John D Rockefeller made his billions and today Ohio’s great port city is confidently going about its business, doing up its Lake Erie waterfront and rockin’ on at the Rock and Roll Hall of Fame. Add in an exciting, international food and restaurant scene where pierogi are as popular as pizza, regular live music concerts, amazing things to do and a passion for all things sports and you’ve got a city that knows how to have a good time – and wants to invite you along for the ride. Job one is to find a hotel in the heart of the action, which is where these top 10 places to rest your head come in. All are Downtown and close to the ballpark, theater district and Rock and Roll Hall of Fame, and all come with that something extra that makes them worthy of inclusion in our favorite accommodation in the city… indoor dog park, anyone? History oozes from every brick at the Schofield hotel, housed in a Victorian-era building designed by architect Levi Schofield. The copious plants are a homage to Schofield’s involvement in the creation of the Museum of Natural History and the rooms are playful, with touches such as matchbox cars above the bed and knitted ottomans made from recycled saris. Seasonal, local ingredients star in the restaurant where chef Andrew Gorski serves north-eastern Ohio favorites with a creative twist. Location-wise the Schofield couldn’t be better – you can walk almost everywhere in Downtown from here. 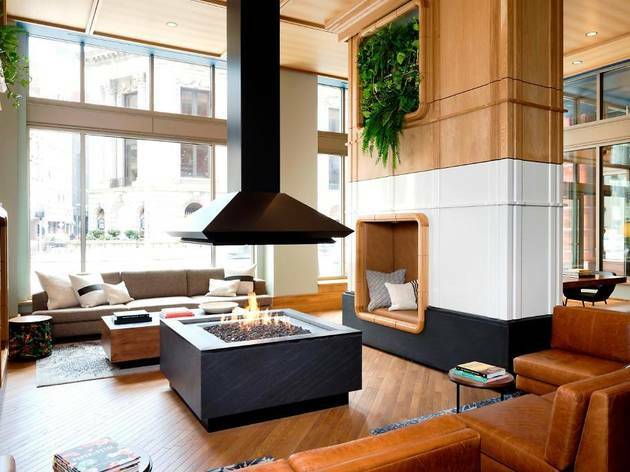 A recent redesign of this sophisticated city centre hotel blends Cleveland’s steel industry past with its contemporary spirit – think chic greys and blues with metal finishes and a dramatic onyx bar serving dishes made from locally sourced ingredients. 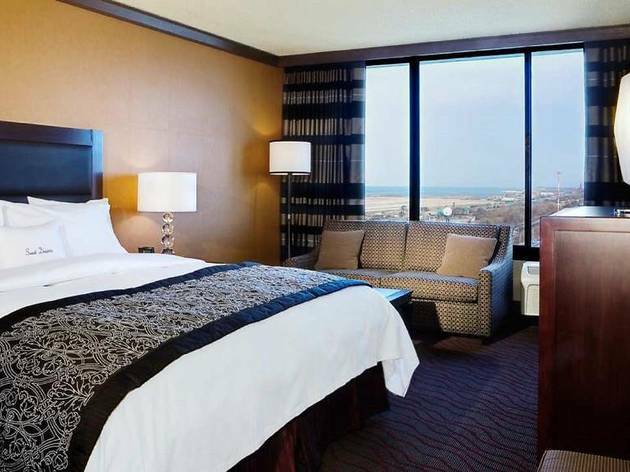 Rooms and suites feature large windows overlooking the city and the lake and there’s a huge 24-hour gym with all the latest equipment and personal training sessions. 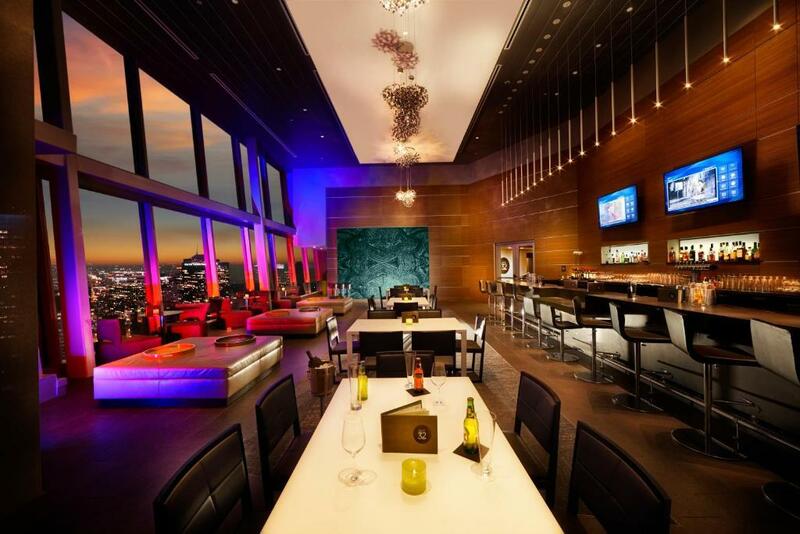 The hotel is part of Tower City Center, with its shops and restaurants accessible without even setting foot outside. 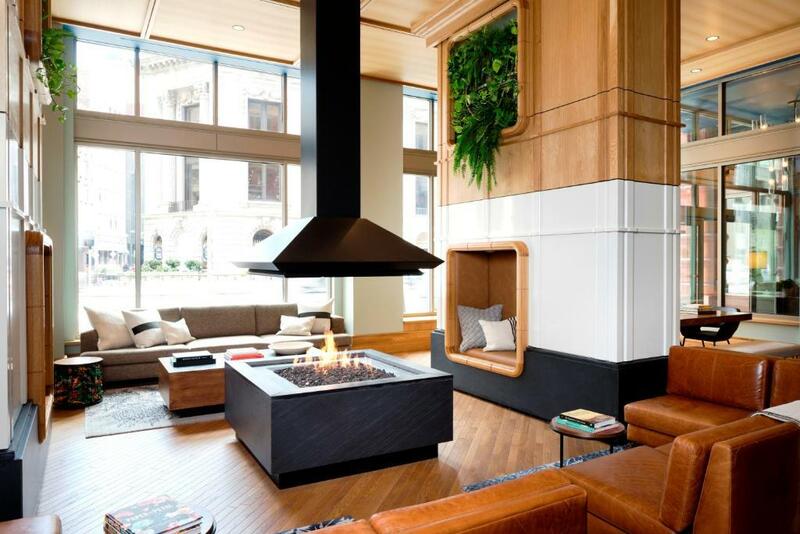 The striking 1907 Cleveland Trust Building is now home to this Marriott hotel, which has something no other hotel in the city does – an indoor dog park, called Bark. 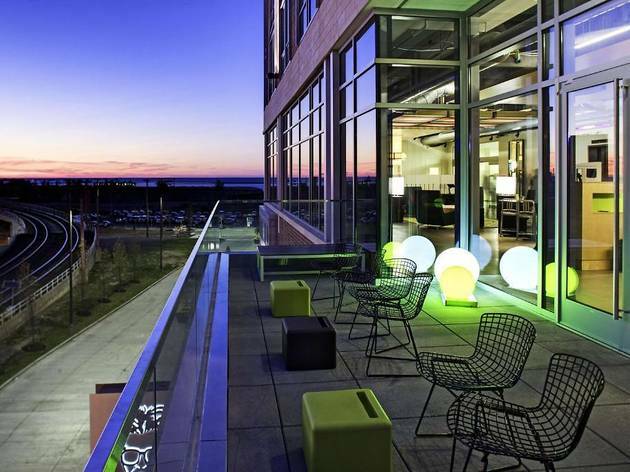 There’s also a yoga studio, a rooftop sun lounge and fitness studio. Also on site is the Alex Theater, for live music, and the fabulous Vault bar, where cocktails are mixed in what was once the bank vaults. 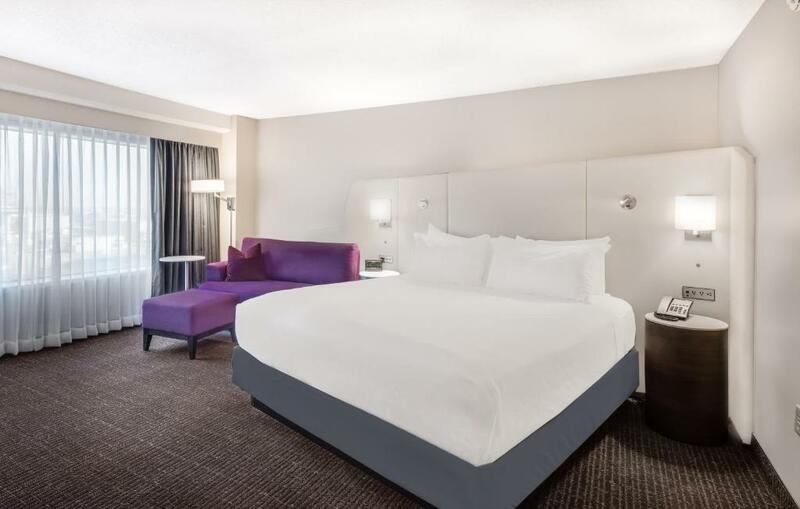 Rooms are decorated with a touch of bling and you’ll get a view of the theater district, Lake Erie or even the ballgame at nearby Progressive Field. 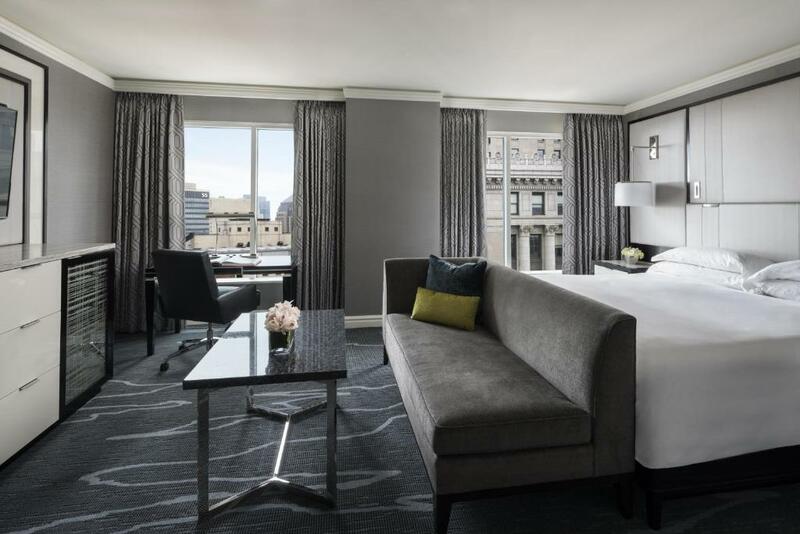 In the heart of the city centre, the four-star Westin is a great base for your exploration of Cleveland – the theaters of Playhouse Square and the Rock and Roll Hall of Fame are both within walking distance. 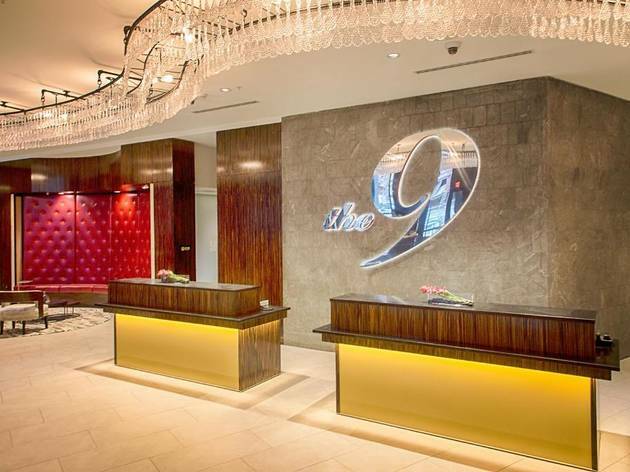 The hotel actively encourages guests to get out on two feet, with running maps provided and New Balance workout gear available to hire for a small fee. 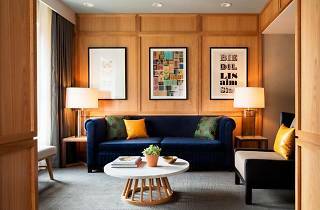 Rooms are a riot of color, giving them the edge over many a hotel’s identikit beige bedrooms. 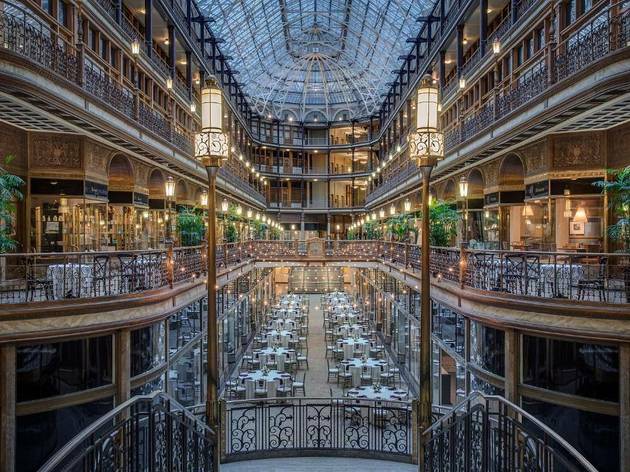 Nope, this luxury hotel isn’t in an arcade, that name actually refers to the gorgeous 19th-century atrium at its centre. Stay here though and you are right next door to the East Fourth Street entertainment district, where you’ll find a strip of great restaurants. 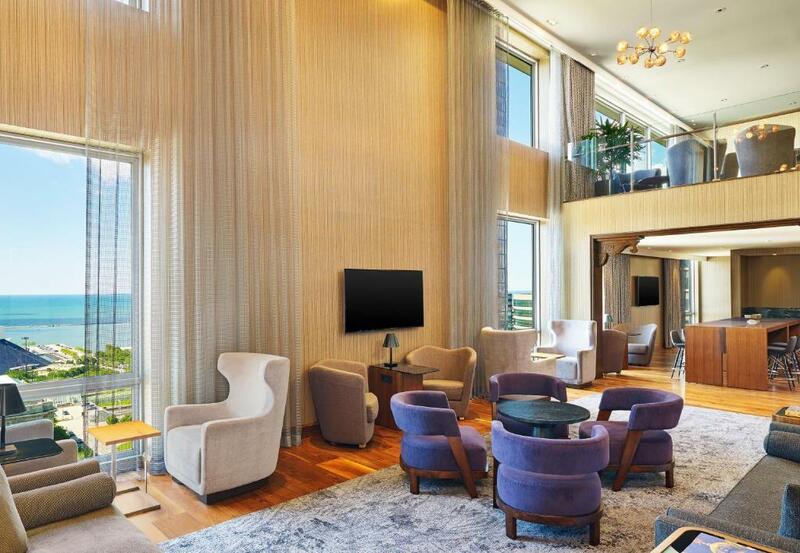 Back at the hotel, 1890 Restaurant serves local dishes overlooking the atrium, while rooms feature chic, calm decor and views of the city, lake or sports stadium. There’s also a spa and a 24-hour fitness centre. If you’ve reason to go to the convention centre, this hotel can’t be beaten – it’s connected by a walkway. 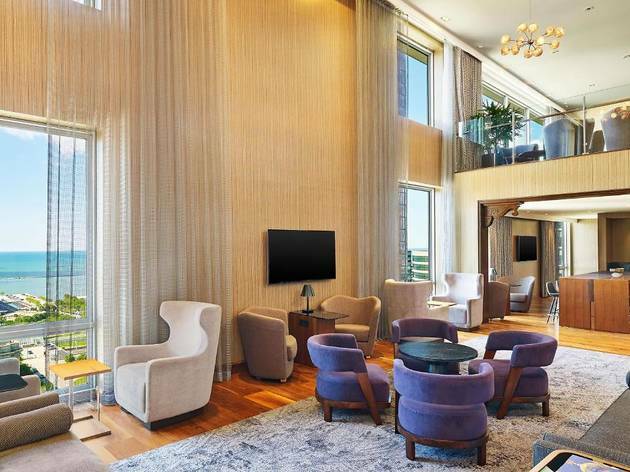 It’s also easy to walk to all of Downtown’s star attractions and the highest floors have sweeping views of the city center and the lake to boot. Prices rise the higher your bed does; if you can’t stretch to it, take a seat for a drink at Bar 32 instead – it’s on the top floor so has the very best views. There’s an indoor pool and fitness centre as well as the gourmet Burnham Restaurant serving Ohio’s best produce. From the moment you’re given the signature warm chocolate chip cookie on arrival, the Doubletree makes you feel at home. You’re slightly to the north of Downtown here and within walking distance of the Rock and Roll Hall of Fame and Great Lakes Science Center. For anything further there’s a free shuttle service. 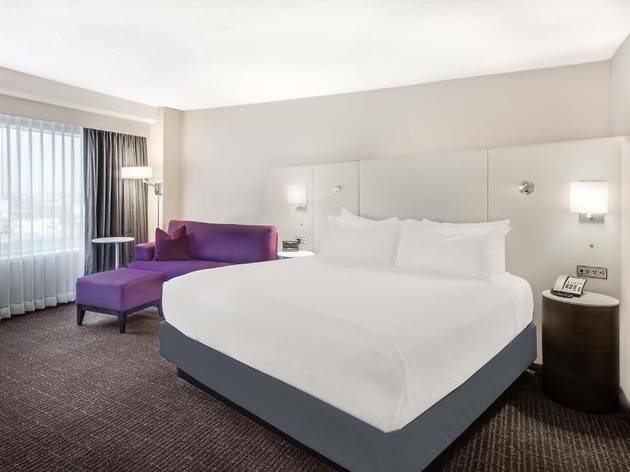 The indoor pool is heated, the rooms have luxury bedding and gourmet coffee and the Stadium 3 Bar and Grille is a relaxed place for American classics. 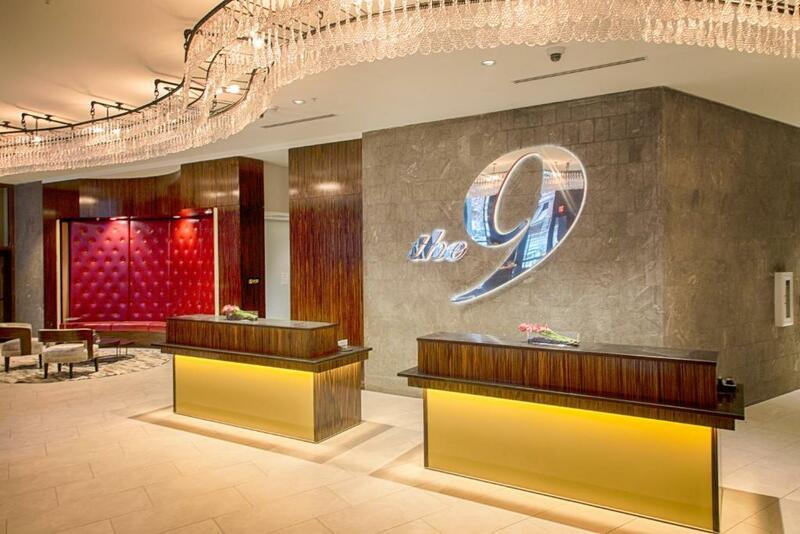 Lovers of the theater should look no further than the Crowne Plaza. 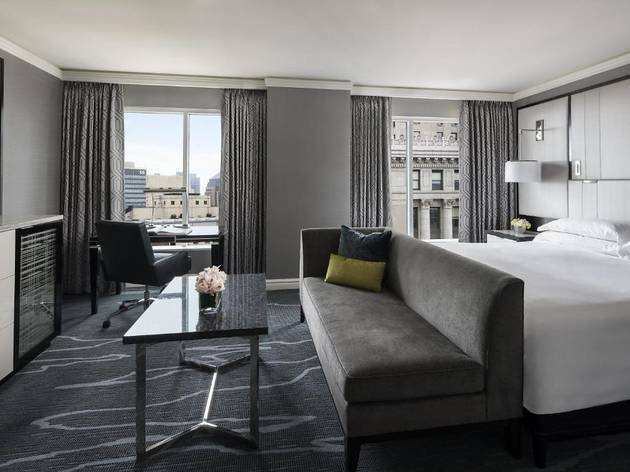 Rooms are simple but you won’t spend much time in yours, this is the very heart of the city’s theater district, and there are nine within striking distance. In fact, Playhouse Square is said to be the largest performing arts center in the US outside of New York. Back at the hotel there’s an indoor heated swimming pool and Jacuzzi as well as a fitness center, and the Ghost Light restaurant serves classic favourites such as burgers and flatbreads as well as lobster nachos and pierogis. This large, imposing hotel in the centre of Downtown makes a great base for everything from sporting events at the FirstEnergy Stadium to nights out at the House of Blues. 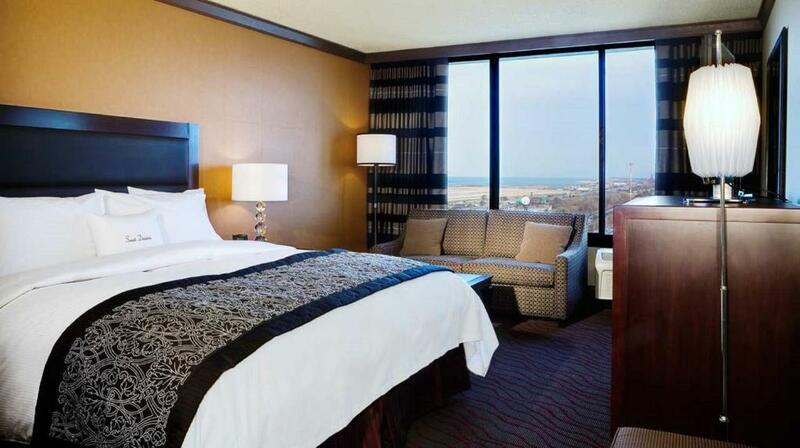 Rooms are spacious, with huge beds and marble bathrooms, and many have views out over Lake Erie. 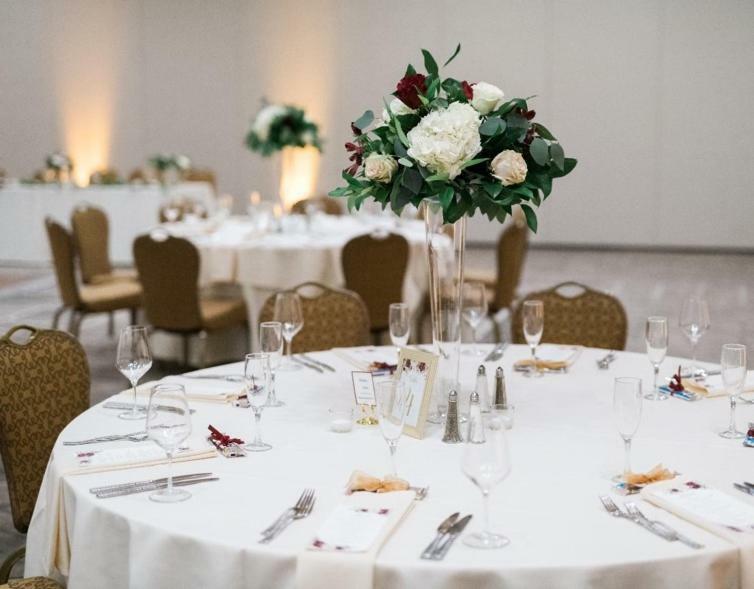 There’s a fitness center too, as well as two restaurants: the upmarket Il Venetian for authentic Italian cuisine and the more casual Greatroom for midwestern modern dishes. 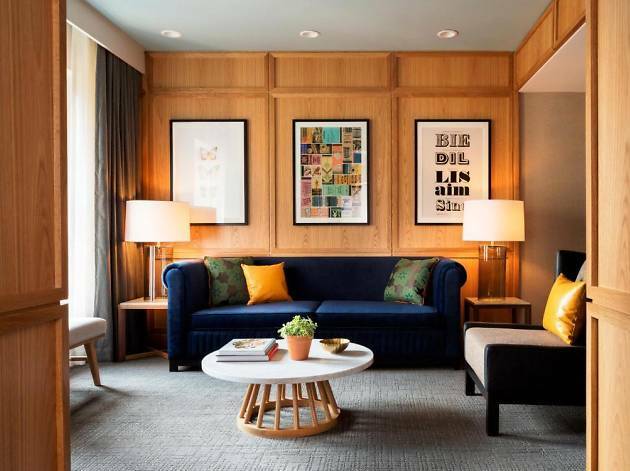 This funky chain of quality budget hotels from the Starwood hotels group is the best bet in Cleveland for those seeking to save a few pennies but still stay Downtown. 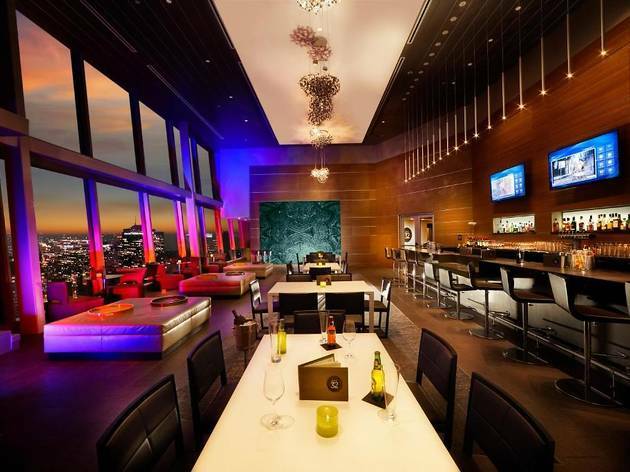 You won’t be scrimping on style here, with bold colors and sleek woods in the smart bedrooms, while the WXYZ bar hosts acoustic performances by emerging artists from around the region. There’s a gym on site too and technology is king here – you can even use the SPG app as your room key.